Based on Khaled Hosseini’s best-selling novel, “The Kite Runner” tells the story of a well-to-do Pashtun boy, Amir, from Afghanistan, who is still haunted by the guilt of betraying his childhood friend Hassan, son of a family servant. Having lived in California for a number of years, Amir returns home to Afghanistan to help Hassan, when his son gets into trouble. 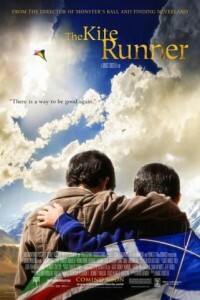 “The Kite Runner” sails into theaters December 2007.